Science and religion have often appeared at loggerheads, but Papal astronomer Brother Guy Consolmagno says there is no need for conflict. Brother Consolmagno said while literal readings of the Bible suggested the world was young, the perpetration of that belief, despite the scientific evidence to the contrary, was simply "bad theology". "It's almost blasphemous theology," he told Fairfax Media during a visit to Brisbane on Wednesday. "It's certainly not the tradition of Catholicism and never has been and it misunderstands what the Bible is and it misunderstands what science is." And that was why Brother Consolmagno, a decorated planetary scientist, struggled when asked how he reconciled his faith with his science. For him, there was nothing to reconcile. "I grew up with the nuns in my school teaching me science," Brother Consolmagno said. "Science is a way of getting close to creation, to really getting intimate with creation, and it's a way of getting intimate with the creator. "It's an act of worship." Brother Consolmagno, who has returned to his native United States after more than 20 years at the Vatican, said any science book more than three years old was probably at least partially out of date. So, in that regard, the Bible should not be used as a basis for scientific study. "Science goes out of date – it's supposed to," Brother Consolmagno said. "Now, if you're turning the Bible into a science book, then you're saying you should throw it out after three years and you don't want to do that. "...The very concept of a science book didn't exist when the Bible was written – that's the misunderstanding of theology, of the Bible." Brother Consolmagno said science, like religion, was not literal. "The search for literalism, the search for absolute truth, isn't what science is about and it's not what religion is about," he said. "If you want a sound bite answer [to the reconciliation question], my religion tells me God made the universe and my science tells me how he did it." 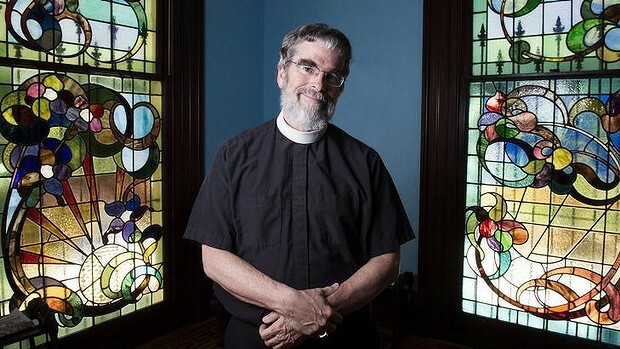 Brother Consolmagno's path to the Vatican Observatory was in part, he said, because he was "remarkably unsuited" for regular priestly duties, such as helping people with their problems. "I'm too much of a nerd to really be able to relate to that," he said. But mostly, Brother Consolmagno said, he went to the Vatican "under obedience" when he arrived in 1993. "Somebody higher up had seen my resume and said 'you're going to the Vatican, you have to eat that terrible Italian food, look at that boring scenery and, oh yeah, they've got a collection of 1000 meteorites', which was my specialty, that I was to curate," he said. "So, I didn't do anything, I didn't apply for it, I merely obeyed and while I joke about it, I really did want to teach. "I really didn't want to go there, but it turned out to be the best thing I ever did." Brother Consolmagno said the modern Vatican Observatory, which was established by Pope Leo XIII in 1891, was smaller than other research facilities in which he had worked, such as Harvard and the Massachusetts Institute of Technology. But it had its advantages. Brother Guy Consolmagno and Father Paul Mueller scientists at the Vatican Observatory, the official astronomical research institute of the Catholic Church, joined George Knapp to explore a variety of questions at the crossroads of faith and reason. Consolmagno is stationed at the Vatican's astronomical facility in Tuscon, Arizona, while Mueller is currently near Rome, at the Pope's summer vacation home, where there are four older telescope domes. The two help keep the Church informed about new scientific findings, and are free to pursue their own astronomical interests. In terms of reconciling science with accounts from the Bible, they suggested that these sources are not necessarily in conflict, but just different ways of looking at things. Comparing the Big Bang theory with the Genesis account of creation, Genesis "is telling us about the creation of the universe; it's answering the question in a different way than the scientist is answering. The shorthand might be-- my religion tells me who made the universe; my science tells me how he did it," explained Consolmagno. As far as the science will go, "it can never tell you why the universe was made-- it can only tell you how what we have now came from whatever was before," Mueller added. 'Any entity no matter how many tentacles it has, has a soul,' Consolmagno has said. But in regards to the question of whether an ET should be baptized, there are so many contingencies regarding the ET-- can it communicate with us? Does it have a relationship with God?, that it becomes more of an interesting issue to contemplate rather than a practical concern, Consolmagno commented. The two also spoke about the Star of Bethlehem-- there's about a 10-year window as to when the event might have occurred, with a number of celestial events happening during that time, so it's hard to know what specifically Matthew was referencing in the Gospels, said Consolmagno. Mueller noted that the Magi, with their quest to follow celestial phenomena, serve as an inspiration to Jesuit scientists.